The curtain is rising once again on Immigration Theater, that political playhouse in which the Trump administration engages in headline-grabbing showmanship rather than actually addressing the issue of illegal immigration. 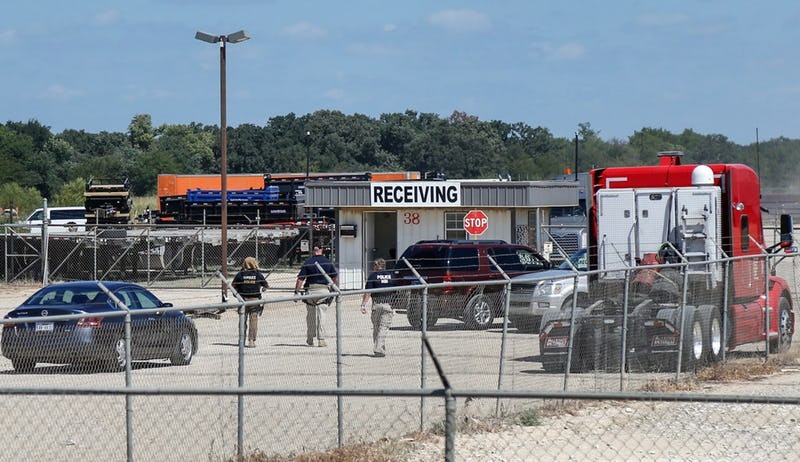 In the latest episode, some 300 federal agents swooped down on a trailer manufacturer in Sumner, detaining 160 suspected unauthorized immigrants but making no criminal arrests. The raids were part of the administration's efforts to step up audits and investigations of employers in search of illegal immigrants on their payrolls. Between Oct. 1 and May 4, Immigration and Customs Enforcement inspected more than 3,500 workplaces, more than it examined in all of fiscal year 2017, according to The Wall Street Journal . By the time this fiscal year is over, officials predict they will have conducted more than 5,500 workplace investigations, triple that of the previous year. One official said the administration hopes to raise the number of investigations to 15,000 a year. President Donald Trump has embraced the role of hardliner, yet, like his predecessor, Barack Obama, his theatrics have resulted in no real progress. Obama, too, boosted workplace audits, with similar results. Eleven million unauthorized immigrants remain in the country, and many are gainfully employed. Targeting employers does nothing to address illegal immigration. In fact, the investigations exacerbate an already untenable situation for both employers and immigrants while ignoring the underlying causes of illegal immigration. Current law requires that job applicants provide employers with a form of identification, usually a Social Security card. An unauthorized immigrant can buy a high-quality fake at the nearest flea market for as little as $20. If an ICE audit later finds Social Security numbers that don't match workers, employers must fire them. But the fired workers, while they may be detained by ICE, are rarely deported. The federal government simply doesn't have the resources to process them, and if they don't have criminal records, most wind up remaining in the country. Douglas Holtz-Eakin, president of the conservative American Action Forum and a former Congressional Budget Office director, says in the video series  The Rational Middle: Immigration that detaining and deporting all 11 million unauthorized immigrants would cost as much as $300 billion. At a time of rising spending and bloating deficits, that's simply money the government doesn't have. What's more, because unauthorized workers contribute about 6 percent of our gross domestic product, removing them from the economy would trigger a recession like we haven't seen in a decade. Because workers fired as a result of an ICE investigation can't get jobs with legitimate employers, many move into the shadows, working for cash. This is especially common in industries like construction, where skills are highly portable. If the government is not going to deport these workers, then driving them from the rolls of tax-paying employers into the shadows of a cash economy is the worst possible outcome. In a cruel irony, these workers wind up competing with the companies that once hired them legally, and in many cases trained them. Yet their new bosses don't bother paying benefits such as health insurance or workers' compensation, and the lower overhead creates an unfair competitive advantage, essentially rewarding employers who do the wrong thing, while punishing legitimate companies who followed the law. After working on the Rational Middle series and a related book for the past two years and interviewing dozens of employers, experts and immigrants — both authorized and unauthorized — it's clear to me that the current system isn't working for America, the business community or immigrants. The only winners are the lawmakers who keep their jobs by hiding behind tough talk while allowing a failed system to languish. Congress and the administration continue to ignore both the economic causes and solutions to the immigration crisis. Illegal immigration persists because of an economic need unfulfilled by native-born employees in industries such as construction, agriculture and hospitality. With unemployment at its lowest since the turn of the century, the situation only grows more severe. Our antiquated immigration laws simply can't keep pace with the economic demands of our growing workplaces. If we continue blindly enforcing laws that don't work, we aren't "getting tough" on immigration, we're acting out a charade. Making employers the scapegoat isn't a solution, it's simply deflecting responsibility away from members of Congress who lack the courage to take action. Loren Steffy is the executive producer of the video series The Rational Middle: Immigration , a writer at large for Texas Monthly and managing director of the communications firm 30 Point Strategies. He wrote this column for The Dallas Morning News.